We recommend a lot of software here on Lifewire, software that does everything from undelete files to automatically hack into your computer when you've forgotten a password. All of these programs that we recommend are hosted on other sites, which is very typical and is no reason for concern. However, it means we have to hand you off to another website that we have no control over and hope everything works out there as you download and install the software. Unfortunately, sometimes even a really, really good piece software is hosted at a site that... well, we wouldn't otherwise want to send someone to. Add to that the fact that some software programs, while otherwise fantastic, include little bits of "extras" that no one really wants on their computer. Since this is the nature of downloadable software these days, especially free software, we thought it worthwhile to put together this collection of tips on how to stay safe when you download and install software. While some of what we talk about here are specific to downloading programs we recommend here on the site, the advice is all very general and applies to any software you might download and install, from any website. Keep reading for some solid ideas on where to get software recommendations, how to avoid problems even from legitimate downloads, and lots more. We know this is the basic human advice given for almost everything, but it certainly applies here, too! If something doesn't seem right, trust your gut - it's probably not right. In case you haven't yet learned this lesson elsewhere, the most effective and easiest thing you can do to avoid malware and adware is to avoid downloading any software program or app from an unsolicited link. In other words, avoid downloading anything that you've received a link to via an email, text, or some other personal message... unless you completely trust the source. You've heard this, too, I'm sure, but running an antivirus program and keeping it updated is very, very important if you're downloading software. See How to Scan for Viruses & Other Malware for help if you're new to this or think you might have a virus. One of the best ways to ensure that you're choosing legitimate and well-made software is by following recommendations from curated software lists. Ranked and reviewed lists of software programs save you all the complicated vetting you'd otherwise have to do on your own. In other words, someone has already done the hard work for you and figured out which programs are best. Use that free knowledge and avoid being the guinea pig yourself. While we've done everything in our powers to link to the best source for a piece of recommended software, sometimes best isn't objectively good. We sometimes find ourselves trying to pick the least-worst place to link you to from 10 bad options. This is especially the case with freeware software. In those situations, most of the issues you'll run into on software download pages we link to include programs wrapped in installers and download managers, confusing DOWNLOAD advertisements, and bundled adware. The next several sections below talk about those dangers and more, as well as some really easy ways you can avoid them. Have you ever downloaded a program that you thought was free and then, after using it for a while, saw a warning or some other message appear, prompting for payment to continue? Freeware: This means that the program is completely free to use as described. Trialware: This means that the program is free to use for a certain period or time, or for a certain number of uses, and then will need to be paid for. This is also sometimes called shareware or just trial software. Commercial: This means that the program is not free at all and must be paid for before you can use it. Even most commercial programs these days provide limited-time trial versions before asking for payment, so we see this designation less often. Be wary of a program that just says it's "free" since there are plenty of ways to spin that. More about this next. Just because something is a Free Download does not mean that the software is free. Unfortunately, some software makers intentionally confuse visitors with this trick on their download pages. They use "free download" in all the page titles, all over the software description pages, and then you usually end up clicking a big FREE DOWNLOAD button to start the download. Of course, the download process is free! The software, however, requires payment for use, sometimes right away but often after a short period of use. Some software makers do this in the hopes of driving revenue from people who thought they were downloading and using free software and then see little choice but to pay up. It's unethical and a rampant problem among lower quality software programs. So, before you download something that's labeled as "free" or as a "free download," check to see that the program description clearly states that it's freeware or completely free to use. Some of the most "successful" advertisements are those that trick a page's reader into believing that the ad isn't really an ad, but something useful on that site. These sorts of advertisements run frequently on software download pages, appearing as giant DOWNLOAD buttons. As much as these large buttons might appear to be what you need to click to download the software you're after, trust me, they're not. Worse yet, these DOWNLOAD advertisements don't go to benign websites - they usually go to a malware-ridden page where you really do get to download something, just not the something you thought you were getting. 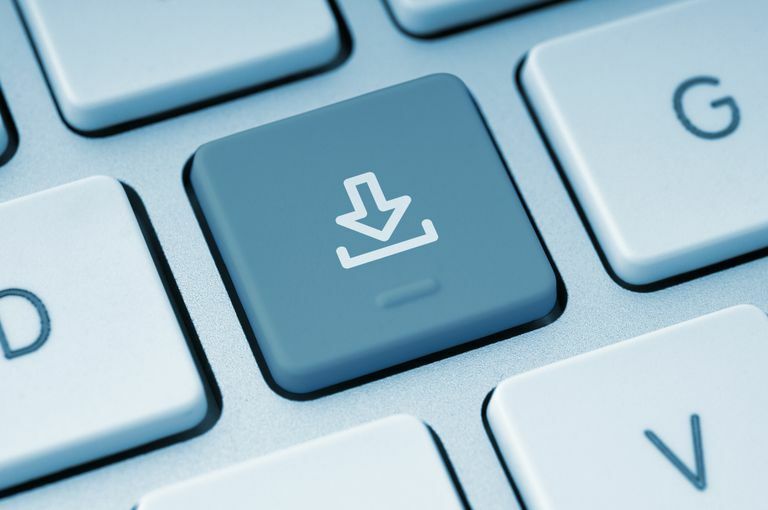 Real download buttons tend to be smaller and located closer to the downloadable file's name, version number, and last updated date. Not all software download pages have download buttons, either - many are just links. Avoid "Installers" and "Download Managers"
Full-time software download sites, like Download.cnet.com and Softpedia, typically host software makers' programs for free. One way these download sites make their money is by serving advertisements on their sites. Another, increasingly more common, way they make money is by wrapping the downloads they serve inside of a program called an installer, or less often inside a download manager. These programs are often referred to as PUPs (potentially unwanted programs) and have nothing to do with the program you're trying to download and install. The download site earns money from the makers of those programs by including them with the one you were after. We do our best to avoid linking to sites that use installers and download managers but sometimes it's impossible, simply because the software I'm recommending isn't available elsewhere. Last, but certainly not least, please slow down and read the screens you're presented with as you install the software you just downloaded. What's important here are the screens that are part of the installation wizard: the screens with the check boxes, "next" buttons, and all the stuff you agree or disagree on allowing to be installed or tracked. Unless you enjoy random browser toolbars, your home page being changed automatically, subscriptions to free software that you'll never use, and stuff like that, then we highly recommend that you carefully read every screen in the install wizard and decline anything that you're not interested in. The biggest tip we have here is to choose the Custom Installation method if you're given the option. This makes the install process a bit longer with the few extra screens it adds, but it's almost always where the "don't install this" options are hidden. One way to avoid all of these installation-based problems is to choose portable software instead of installable software, when available. Many software makers create versions of their programs that run without needing to be installed at all. If you're concerned that a program you want to download may be infected with malware, you don't even need to download it and scan it yourself, which can be a little risky. A free online virus scanning service like VirusTotal will download the file to their servers, scan it for malware using all of the major antivirus programs, and then report on their findings. If you're worried that you may have downloaded something other than what you expected, you may be able to check to see that what you have is what you were supposed to get. Some websites provide something called a checksum value with their downloads. It'll look like a long string of letters and numbers. After downloading, you can use a checksum calculator to produce what is hopefully an exact match to the checksum value listed with the download. See How to Verify File Integrity in Windows With FCIV for a complete tutorial. Which Download Sites Are Best? In general, a developer's site is the safest bet for downloading software, but they don't always host their own programs. Please let me know if you've had a difference experience with any of those sites. Have Questions About Download Links on Lifewire? As much as we try to link directly to developers' sites and to download repositories that don't use installers, sometimes we have to. If you know of a "cleaner" download source for a downloadable program that we've recommended, please let us know about it and we'd be happy to change the link. We get no kickbacks from linking to one download source over another. Why Does Your PC Come With so Much Software Installed Already? What Does Beta Mean and How Do You Become a Beta Software Tester? Why Is CCleaner Asking Me to Pay?